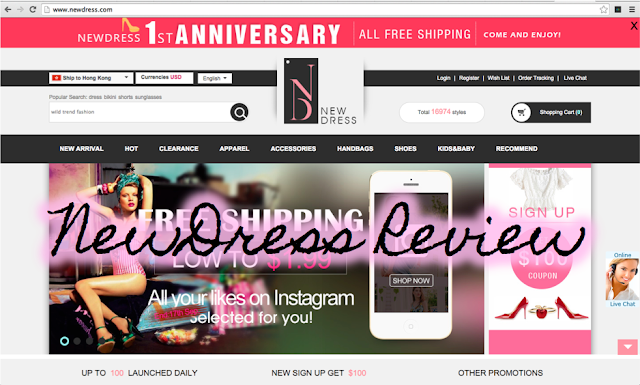 NewDress are currently offering free shipping, all orders come with a tracking number too. QwQ (Yassss, who doesn't love free shipping! I find it really annoying when shipping cost half the price of the order or more than the actual order itself waaahhhdjfkjsnd ;___;) The free shipping will sadly end soon (17th Sept) T__T". 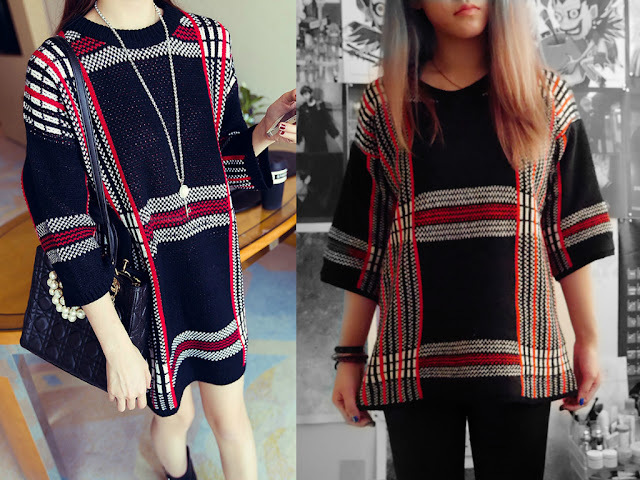 The shipping method I used was China Post, which takes 10 to 25 business days to arrive. I placed my order 4th August and received it on the 26th of August, it arrived within the time fame. 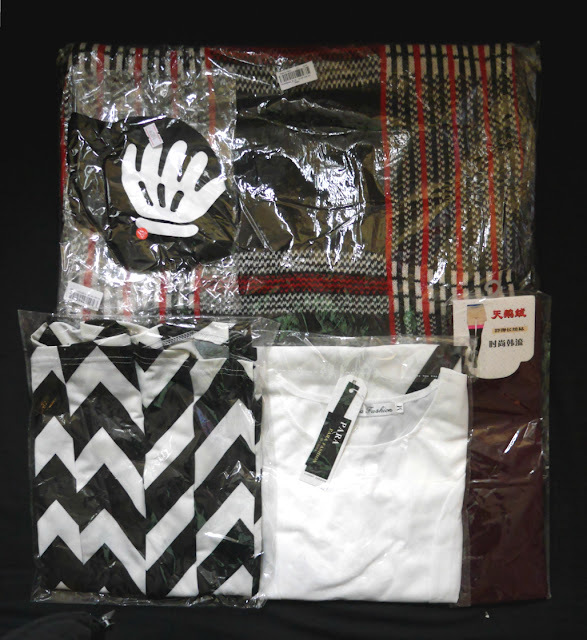 I ordered 5 items~ each was individually packaged. 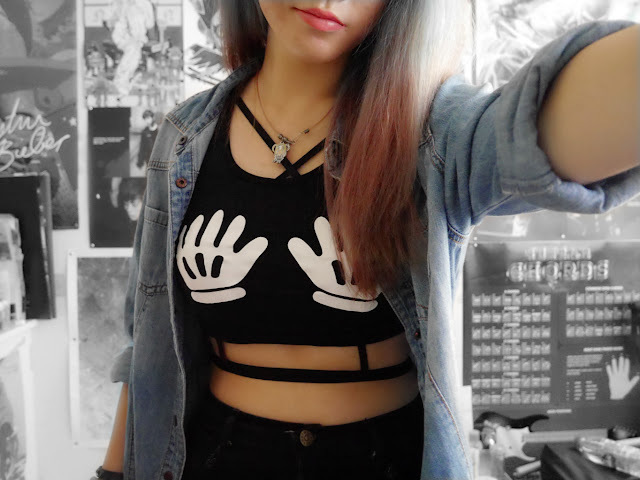 The first item I picked out was this badass Mickey mouse hands crop top. 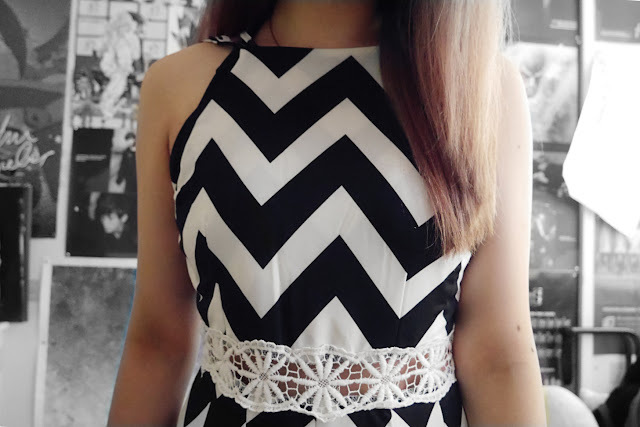 I LOVE THIS TOP SO MUCH! I personally find it a bit short, so I paired it with a harness to make it even more badass and to distract people from the skin exposure. (*the harness is not part of the top) It fits very well and is exactly the same as what the image shows. 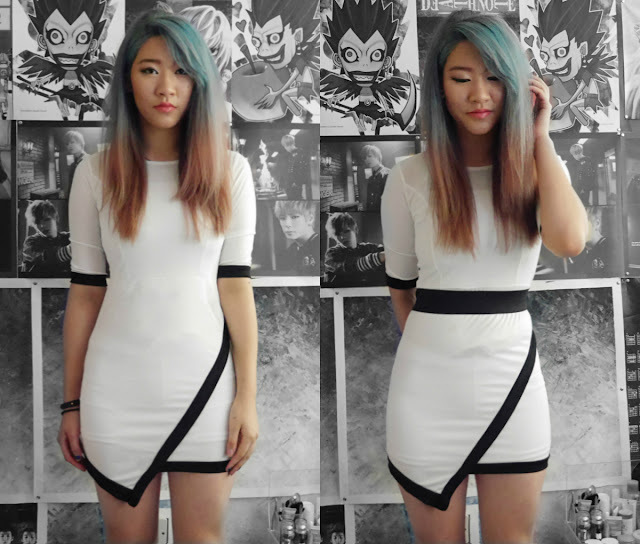 This bodycon dress was in my NewDress Wistlist~ I decided to get this first to review as it seemed to be many people's favourite item from the wishlist. 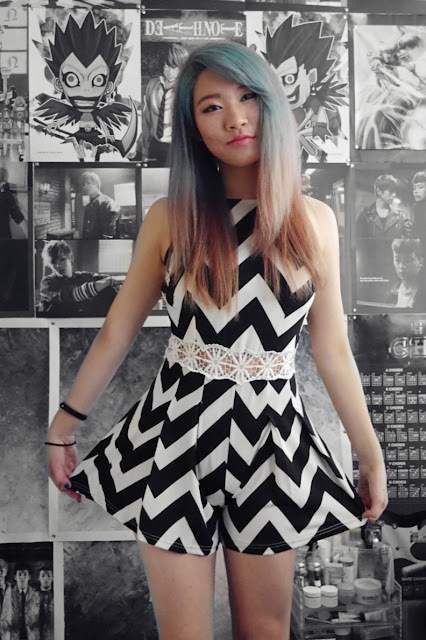 ^^ The dress fits nicely and defines your body figure really well. It definitely needs a belt to accentuate the waist line otherwise it may look a bit off and plain. I adore this dress, absolute stunner for clubbing. The downside of this dress is that the material is very sheer and thin, meaning that your undies will show. To solve this problem I wore a white tank top and white safety shorts under. 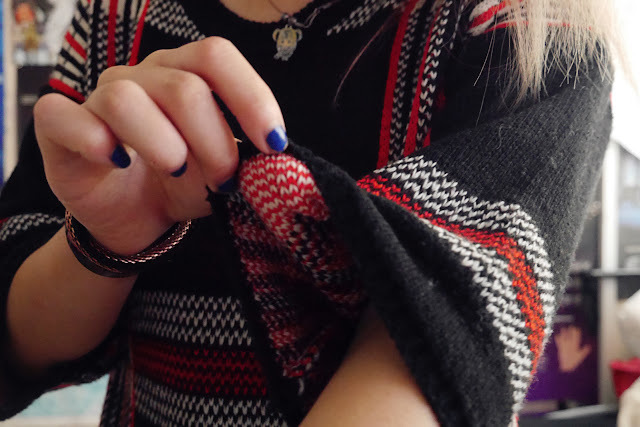 Sweater wise - it's not bad. 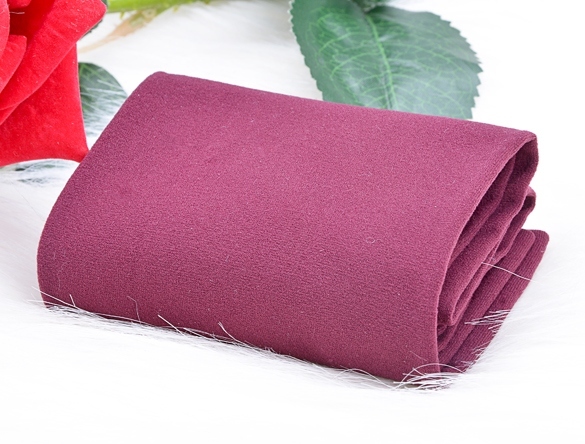 The material is thick and very warming. Luckily my mother likes this sweater, so I will be giving this to her since I am unlikely to reach for it. 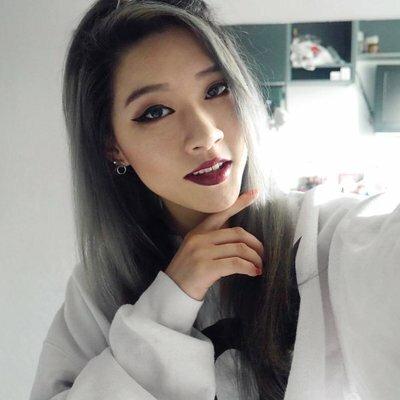 Would I order from NewDress again? love everything, especially the white dress! I was sponsored by a company before and their material wasn't all that great. I imagined that it would be the same for NewDress but I was wrong! They all look great on you! And thank you for the review! I'll definitely check out this site.